The academic assignments can be quite difficult for freshmen. Therefore, there is nothing strange in the fact that only half of the first-year students can perform all the academic assignments assigned by the tutors. If you want to become a lucky one, and to avoid any problems during your first year of study, it is great to find out how to prepare excellent essay papers in advance. 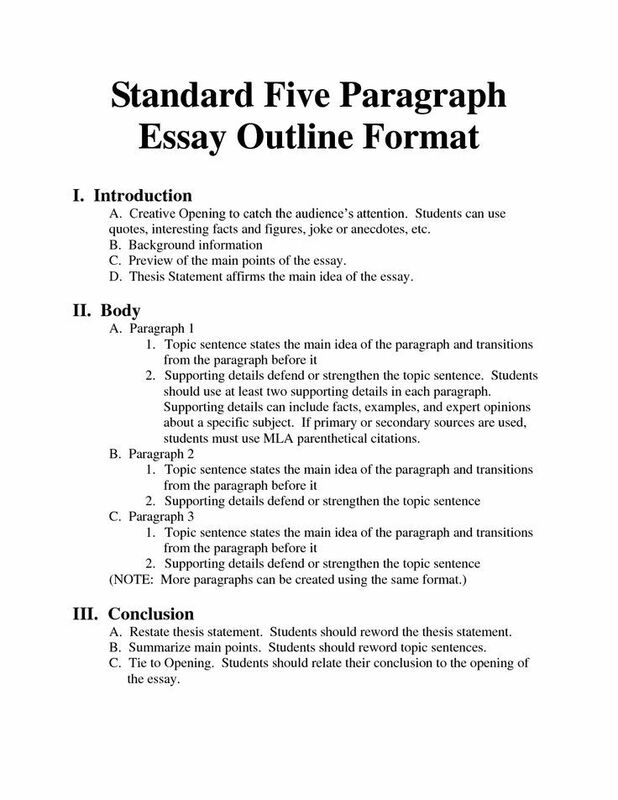 The standard essay paper format is a five paragraph essay in general. This kind of essay is not exceptional and includes the most common elements, like an introduction, body parts, and a conclusion. 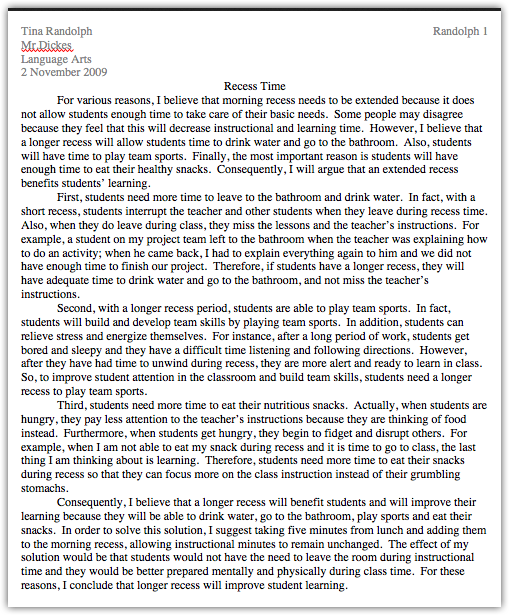 In the 5 paragraph essay, every student needs to introduce the topic properly, provide a thesis statement, strong arguments, and supporting evidence, and write proper and practical conclusions. Since teachers often forget about the fact that not all the students remain, great writers, eventually students can fail in providing an excellent essay paper. Therefore, make sure to find out how to write a perfect essay paper using various tutorials, online examples, together with the tips and guides provided in this article. Definitely, it is easier to hire someone online to complete your paper on time delivering your work to a professional writer, but you can also learn how to write it properly for yourself reaching the information provided in the article critique example. In order to prepare a great essay paper, make sure to deal with the main definitions and concepts first. A 5 paragraph essay is an assigned academic paper that allows tutors checking students writing talents, skills, and general knowledge. It remains a writing piece which reveals a chosen topic. The essay provides information, research results, arguments, and evidence. The writer must provide a solid thesis statement and defend it before the audience. Moreover, it is great to be able to provide a short summary of the findings and numerous analyses’ results. Therefore, this type of academic paper requires great writing, analytical and reading skills. When dealing with 5 paragraph essay, students need to be very careful with the topic they choose or are assigned to by their tutors. Moreover, the entire reaction paper is based on the topic, thus it is obligatory to ensure the topic’s relevance and provide strong arguments and evidence. This is one of the most common academic assignments in college and university, but it can also be used during the post-graduate standard tests like IELTS and TOEFL. It is great to know the writing basis when you only apply for a place at college as well. All the arguments you write down in the body part serve as supporting points for your main thesis statement. You need to provide at least three arguments and strong supporting evidence. In the case with a persuasive essay, every argument and evidence must be very persuasive to force the audience to share your point of view. With the proper topic chosen or provided by a tutor, you need to start preparing your outline. This is an essential part of every essay paper since it works as a plan for an entire writing piece. It helps to organize the writing process better and remember all the elements that must be included in a paper. Further, check the writing format peculiarities to provide a great introduction like in 1000-word essay. Often, an abstract is required, especially in the APA format. This is a short one-paragraph summary. Always make sure to provide a proper outline since it serves as a road map for your writing process. Check every important section that you need to put into your essay more closely. Introduction – Remains an important part of every essay and reveals its main topic and thesis statement. It is better to start it with a hook sentence or some question to catch the reader’s attention. In this section, the writer needs to reveal the main idea of the paper to the target audience. Moreover, the thesis statement description and research problem issues should be also included in this part. The thesis statement must be provided in the last sentence. Topic Sentence – Reveals the specific essay paragraph’ s the main idea and shows its relevance to the main thesis statement. Strong Evidence – A few special sentences that support the provided arguments. It is better to prepare solid and up-to-date evidence when you conduct your analyses. The relevance of the evidence matters. Commentary – This relates to the writer’s feedback and comments on the chosen evidence. Conclusion sentence – This sentence is used to connect the main idea of the paragraph with the thesis statement. Conclusion – This section reveals the main arguments, the thesis statement, provides a summary of the body paragraphs, results of the conducted analyses and studies, and brings certain recommendations and motivation to the audience. There is no need to check various tutorials for a million times to learn how to write three paragraph essay. It is better to start writing it to figure out the best writing mechanism. You should also include in-text citations and bibliography to defend your ideas. Moreover, it is important to provide at least three credible sources in your essay paper. You can choose the sources where the other writers’ opinions provided, the ones that support your arguments. Choose only up-to-date sources, thus include the material that no older than 5 years. There is no need to count every sentence to come up with a good introduction and conclusions. These main elements have quite a standard basis. Using hooks in the introduction is quite a common practice, which allows grabbing the readers’ attention. Moreover, you can use anecdotes, provocative sentences, shocking facts and intriguing information to start your introduction. The great introduction makes the audience fascinated with what they are reading about and force them to continue reading the entire paper. The trailer allows showing what to expect next. The opening sentences often reveal the main topic to the audience and allow readers to realize the importance of the chosen topic. It is great to show how gratefully helpful can be the topic discussion for every one of the readers. For example, the topic of corruption avoidance is an important issue for every modern citizen. The professional writers often use the quotes of famous people to add to the introduction. Before starting preparing a conclusion, it is great to figure out how the entire list of body paragraphs must be built. Moreover, it is crucial to provide proper links between paragraphs. Therefore, make sure to use enough transition words and phrases to connect the arguments into one single writing piece. You need to write essay for me, check every argument and provide proper evidence. Make sure to conduct all the needed analyses and provide practical findings. You can improve your body paragraphs, once including some examples into each paragraph. With the main body paragraphs properly written, start writing the last conclusion paragraph. You need to use transition words as well to bring the reader to the final point of the entire paper. You need to prepare conclusions which are related to all the body paragraphs. Make sure to explain how all the paragraphs are linked and provide predictions and recommendations. Focus. Were the supporting evidence solid enough to defend every written argument and the main thesis statement? Organization. What the used essay structure proper with all the main elements included, like outline, abstract, conclusions? Conventions. Were there any errors in sentences, including grammar, punctuation and spelling mistakes? Style. Was the used vocabulary great enough to describe and reveal the topic successfully? Content. Was the student able to defend every of the provided arguments properly? How easy it could be to find supporting evidence? How easy it could be to provide solid arguments? Will you have enough information to write about? 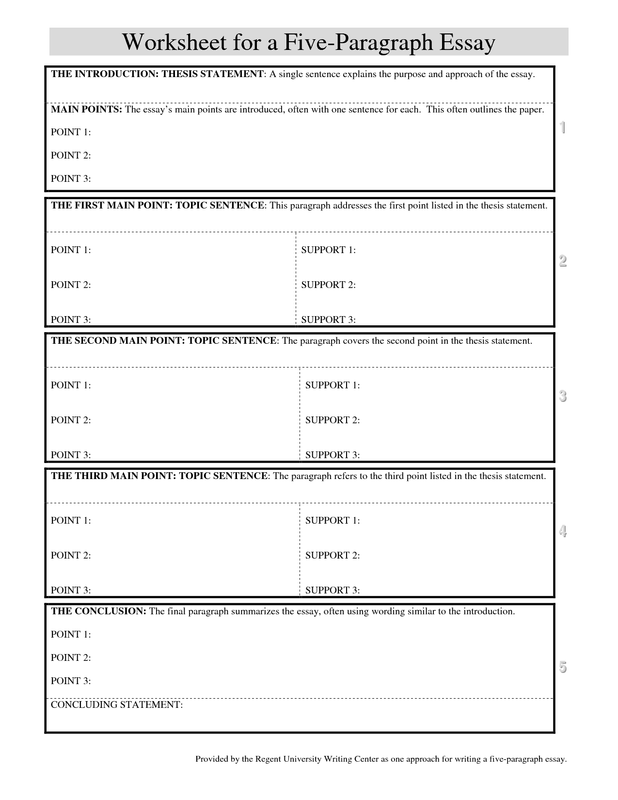 Will you be able to provide a hook introduction sentence? Could the chosen subject be properly described and analyzed? How could your findings help to solve the problem? The top 30 list of the best topics for a five-paragraph essay will help you to prepare an excellent paper. What should be done in order to save rare species from extinction? The person to spend a day with. Why would you choose the exact person? What is the difference between high school bullying and dictatorship? 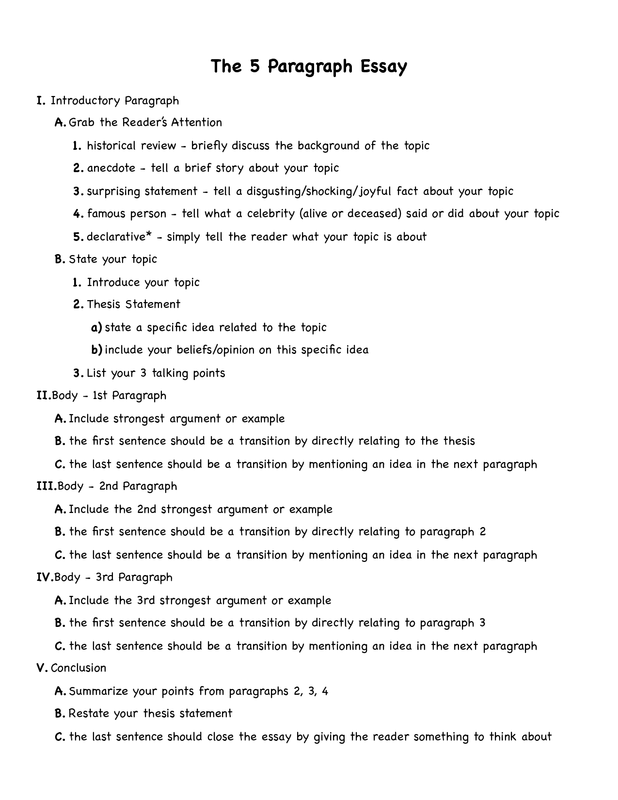 If you search for a great topic for 5 paragraph essay paper, you can use the top 30 topics provided above. 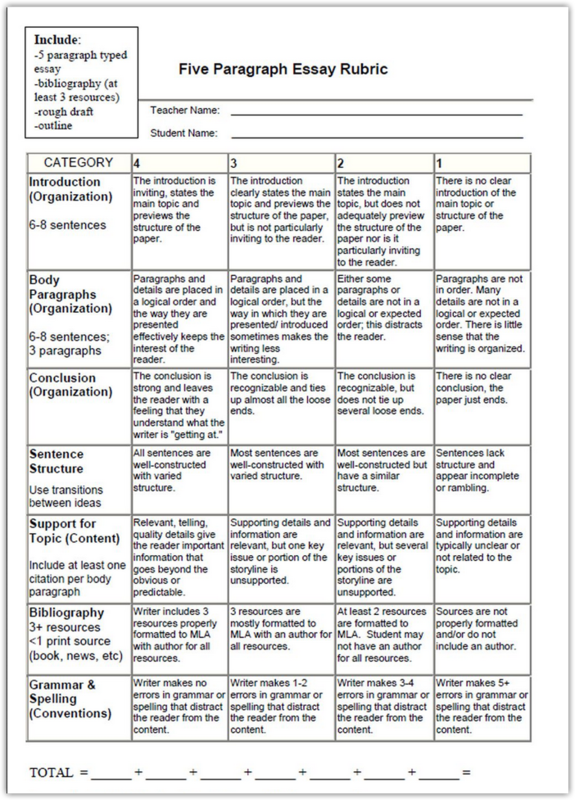 You can change or modify the presented topics to prepare an excellent 5 paragraph essay paper.